Who is Charlie Chan, and why does he remain such a controversial figure? Created by Earl Derr Biggers in the early 1920s, the Honolulu-based Chinese detective appeared in six widely popular mystery novels. And beginning in 1931, the Fox Film Corporation spearheaded the creation of an even more successful “Charlie Chan” film series – running nearly fifty movies in total – first starring Swedish actor Warner Oland and later American actors Sidney Toler and Roland Winters in the title role. Beloved by Depression-era viewers nationwide and hailed as a progressive depiction of a Chinese character amidst a sea of crass Orientalist stereotypes, Charlie Chan was far from the controversial figure he is today. Since the late 1960s, revivals of Chan, particularly on the silver screen, have drawn protests and condemnation from the Asian American community. Despite the tremendous success of the character prior to the end of World War II, Charlie Chan eventually lost his status as a beloved matinee icon, as his name alone became a kind of shorthand for the racist stereotyping of Asians in the popular American imaginary. In less than a half-century’s time, Chan has gone from celebrated hero to an object of scorn and ridicule. What accounts for his precipitous fall from grace? 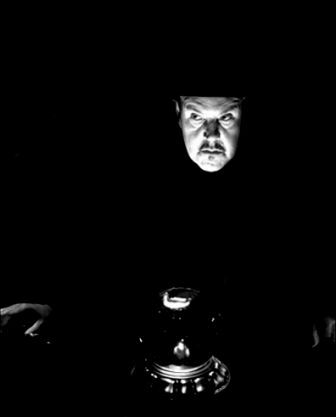 And how is it that an ostensibly moribund character such as Charlie Chan can persist in his refusal “to go gentle into that good night”?